The Don Quixote reference completely fits recent ecological horror : Twitchers flocking to see rare bird saw it killed by wind turbine. So what is the irony and the connection betwixt the two? Environmentalism’s utopia, much like Don Quixote’s Dulcinea, are fabrications. 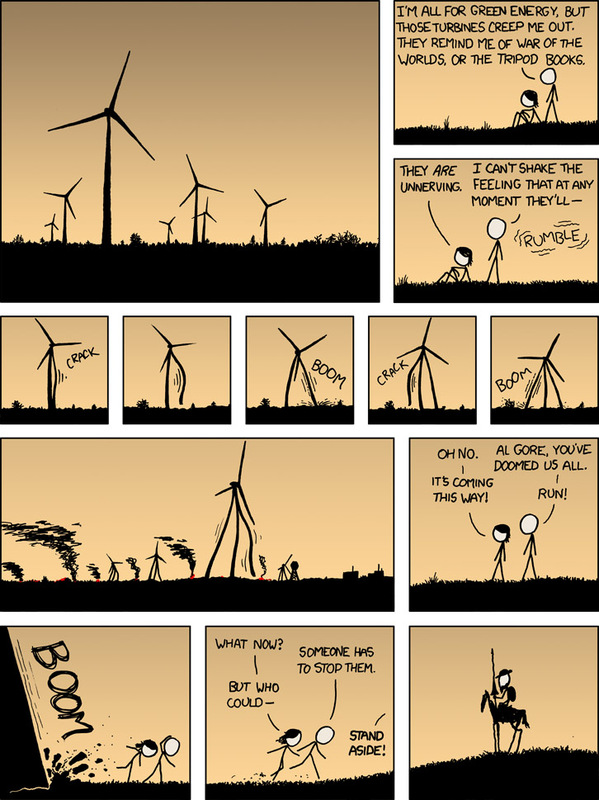 AND, the windmills are out to kill us all. For the best comments on the story, however, click here.